Is HeatlhyWage A Scam? Paid To Lose Weight YA RIGHT! I know what you’re all thinking, there is no way someone is going to pay me to lose weight. Well, that statement isn’t entirely true, but I do know of a company that will pay you if you bet some money and meet your goals! The site is called HealthyWage. You’re probably wondering is HealthyWage A Scam? The answer is no this site is completely legit, and if you stick with your fitness plan, you can earn money, just for losing weight. In this post, I will be showing you exactly how HeatlhyWage works, why this site is not a scam, and how you can get paid for losing weight! How Does Healthy Wage Work? There are two types of challenges. Most of us will choose the first option, so that is what I’m covering in the rest of this review. The first option is making a bet on how many pounds you would like to lose in a certain time frame. Once you choose your challenge, you’ll need to pay for your first months bet with a credit card or by PayPal, and then you’re ready to continue to your first day of verifying your weight! The second type of challenge is a team challenge. I will not be covering this as much because it seems that most people who do this do it inside of a company where you will have a team leader, and all of the information will be given to you from them. If you’re interested in this option, continue to read on because most of the rules are the same! Once you choose a challenge and have paid your first month’s bet, you will need to verify your starting weight. There are two options here. The first option which is the easiest is making a short 30 second or less video of you stepping onto your scale and taking you weight. This is by far the easiest option and can be completed in the comfort of you own home. The second option is going to one of the certified weighing centers listed on their websites. Most of these are located in gyms with a particular trainer. This will require you to go out in public and do some mingling so some people may shy away from this option and plus it’s much more work than just jumping on the scale at home. Either way, your weight will be submitted, and it’s time to start knocking off the pounds! During your challenge, you will have access to a great community within Healthy Wage where you can share your success and connect with others. You will also be given access to some great work out and diet plans along with some support from trainers. There is plenty of information given to you for free to keep you down the right path towards meeting your goals. On the last day of the challenge, you will be required to do a final weigh in. This process is the same as the first day weigh in. Take a short 30-second video of you weighing yourself and upload on the computer or by using the app. If you didn’t meet your goal, you can join a new challenge and try again. If you meet your goal, you will be getting paid shortly! After you completed your challenge and met your goal, you will receive your payment within two days of the challenge being complete. Payments are made via PayPal instantly, or you can request a check that takes 1-2 weeks to arrive. I wanted to cover this quickly before moving on because some might not know. HealthyWage can pay you more than what you invested because not everyone makes their goal. Which means they don’t receive any money back. With the people who failed to reach their goal, HealthyWage can split the earnings among people who have met the goals they set! I didn’t complete a weight loss challenge but I did just get paid for a step challenge at HeatlhyWage. Here’s proof of payment via PayPal! 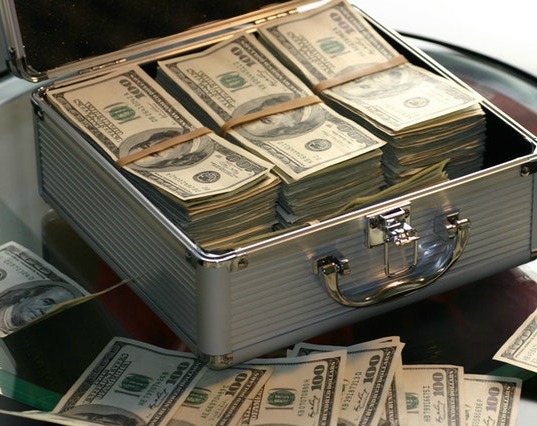 No matter how much you don’t want to admit it, money is motivation for most people, not all, but putting your money on the line can keep you motivated. Depending on how much you bet each month, you can accumulate a good chunk of change on the line by the end of your challenge. If money is tight or you value your money you’re going to want to meet your goals so you can get your investment back plus some winnings! Within HealthyWage they have a community or what some would consider a social network. You can interact with all of the people within your challenge and anyone within the community. This can help you stay motivated by posting success stories and also offers a feature to find people near you to connect with and if you would like to meet up and share your weight loss goals. The payment system of HealthyWage is very simple. Once you meet your goals, it requires them a two day period to confirm your weight. After they have confirmed your success you have the option to get paid via check, usually takes a week, or you can receive payment via PayPal instantly. Personally, I choose PayPal for all my online payments, but if you don’t have an account you can still get paid another way! HealthyWage offers a mobile app available within the apple and android app store. This is a very good app that basically gives you all the features that you have when visiting the website. The best thing about the app is it lets you do your weight checks within the app. Eliminating the process of recording the video and uploading it on the website. This makes the whole process much easier to complete and can save you a lot of time! Of course, the main concern with HealthyWage is people cheating, but this is not a big concern for you because with HeatlhyWage it really only depends on your goals and if you meet what you set for yourself. If you have read my review of DietBet, you will know that your winnings depend more on what other people do. But with HeatlhyWage as long as you meet your goals you’re going to get paid! No, HealthyWage is not a scam. 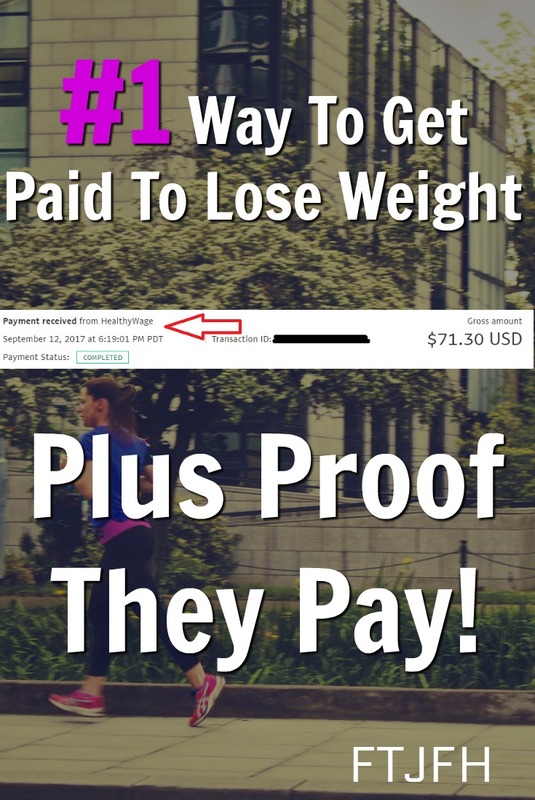 It’s a completely legit way to make money while losing weight. As long as you meet your goals and play by the rules, you will get paid by Healthy Wage. I recommend this site to anyone who is looking to lose some weight and may need some extra motivation to make it happen. Sometimes are personal interests and wants aren’t enough so throw some money on the line and see how that helps you! If you would like to join HealthyWage, you can do so here. If HealthyWage isn’t what you’re looking for check out a similar site called DietBet or some of my scam free ways to make money online. Some of you may also be interested in how I make money online. To learn more visit Start Your Own Online Business. Thank you for reading this post. Hopefully, I’ve answered your question, is HealthyWage A Scam? If you have any questions, please give comments below and make sure to share this unique opportunity with your friends!